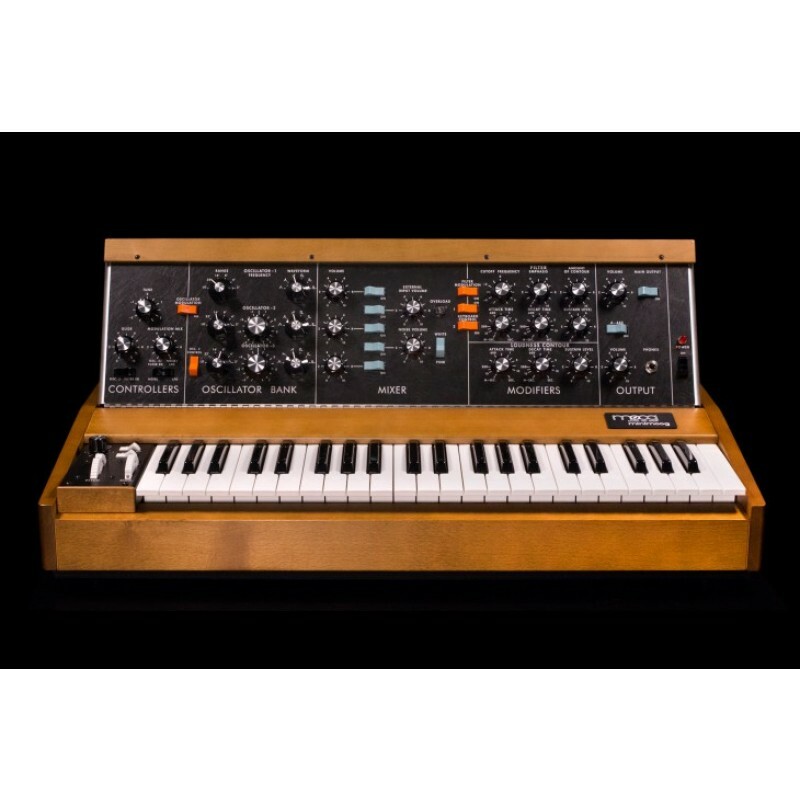 Each newly built Minimoog Model D is lovingly handcrafted by the employee-owners at the Moog Factory in Asheville, NC. 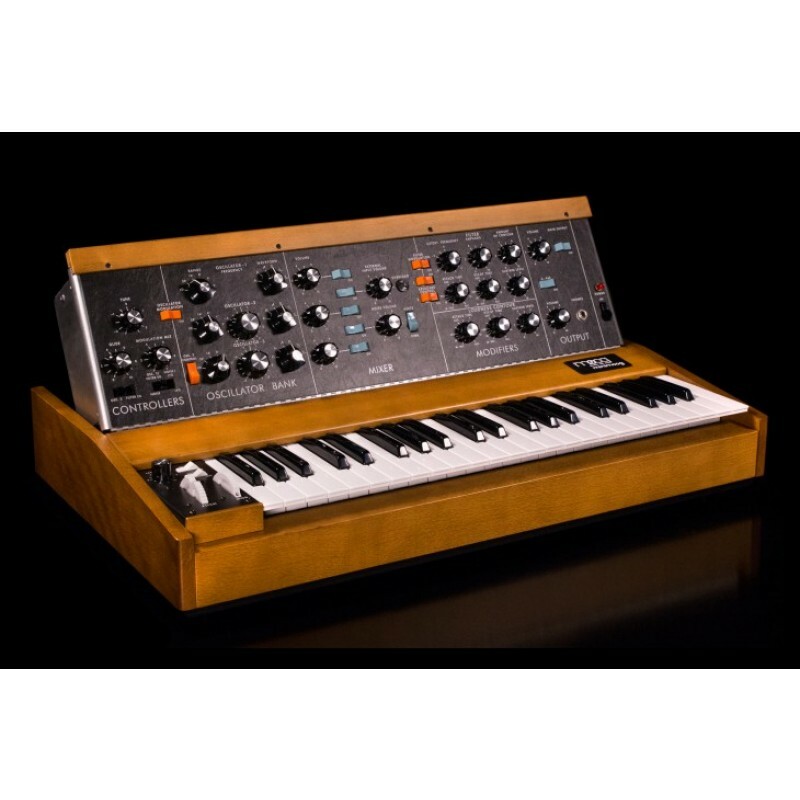 This 3-oscillator, monophonic, analog synthesizer is securely housed in a locally-sourced Appalachian hard-wood enclosure and hand-finished aluminum chassis. The circuit boards retain the exact component placement and through-hole design of a beloved 1970’s era Minimoog Model D.
Though no changes have been made to the original sound engine or audio signal path, the Minimoog Model D now includes a series of popular functional modifications that expand this legendary instrument’s sonic capabilities. 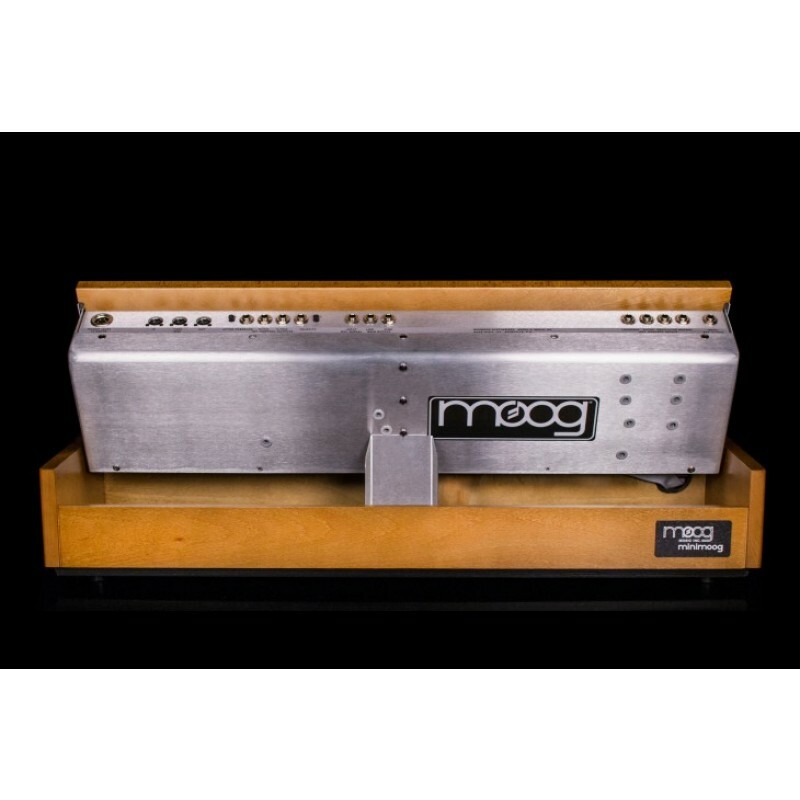 These modifications include a premium Fatar keybed with velocity and after pressure available via top panel CV jacks, a dedicated analog LFO with triangle and square waveshapes, CV outputs for pitch, gate, velocity and after pressure, basic MIDI integration, and a mixer overload modification, which when engaged, allows the Minimoog Model D to conjure thicker and far more overdriven sounds than before.